Kamaru Usman’s manager Ali Abdelaziz wants to see Jorge Masvidal be the next welterweight title challenger, but Colby Covington has other plans. Ultimate Fighting Championship (UFC) president Dana White has said that Covington will be next in line for a shot at Usman’s gold. Usman defeated Tyron Woodley via unanimous decision to capture the UFC welterweight title earlier this month. Just one day after his title win, Usman nearly came to blows with Covington in Las Vegas. Covington won the interim UFC welterweight title back in June 2018. 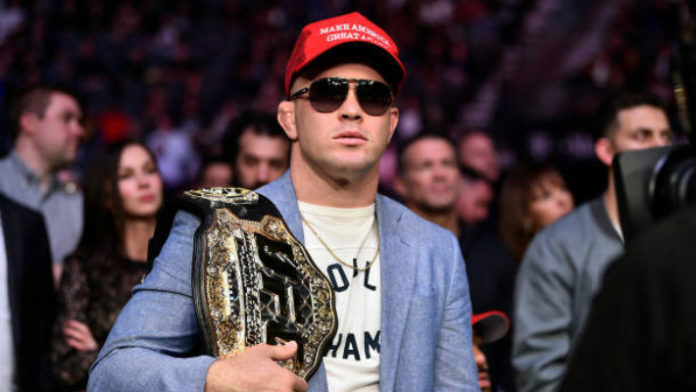 While a title unification bout against Tyron Woodley seemed inevitable, Covington clashed with UFC officials on his return date. That’s why the UFC 235 title shot ended up going to Usman. It’s interesting to note that Covington and Masvidal are teammates at American Top Team. Who would you rather see fight Kamaru Usman, Colby Covington or Jorge Masvidal?